Embuilt Technologies has developed a marketing tool to sell led bulbs. 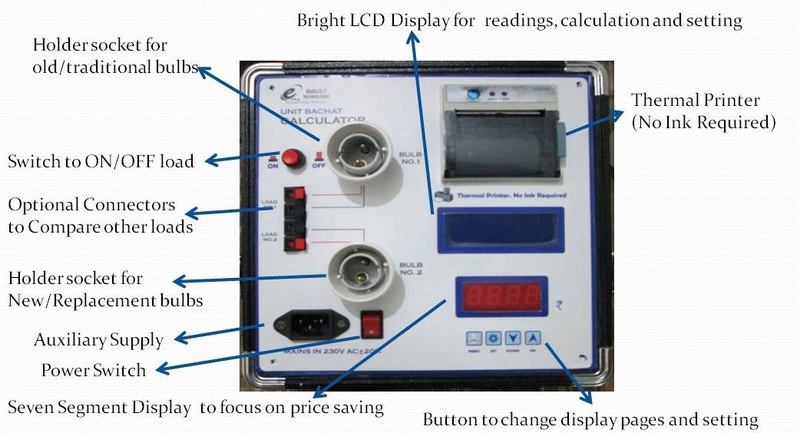 Unit Bachat Calculator lets the end user know in money terms when he buys LED-based light instead of old light. UBC-1 has two sockets/Bulb Holders where the device can be connected. Either a bulb or two wire Load can be connected. UBC-1 measures wattage of connected devices and shows on LCD Screen. All the parameters above can be asked by the user and adjusted in front of him. 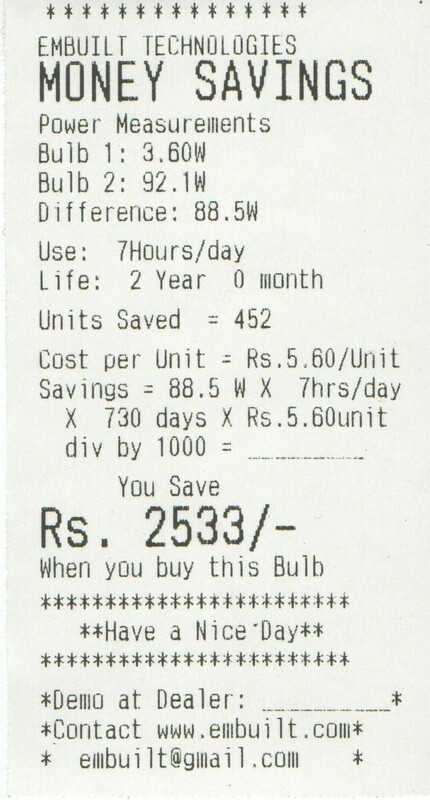 It also shows calculations based on watt difference with money savings based on the unit price set by the user. 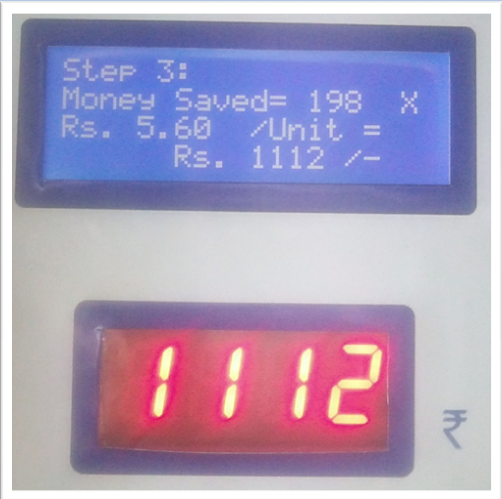 A 4 digit LED display shows money savings. 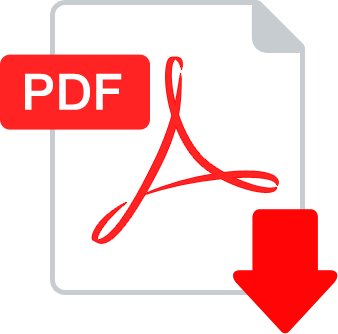 The user can also print slip with all calculation and money savings. UBC-1 has three modes of working. Modes can be changed using settings. Load 1: In this mode UBC-1 measures and shows power parameters V, A, W, PF of load 1. Load-both: In this mode UBC-1 measures and shows power parameters V, A, W, PF of both loads. 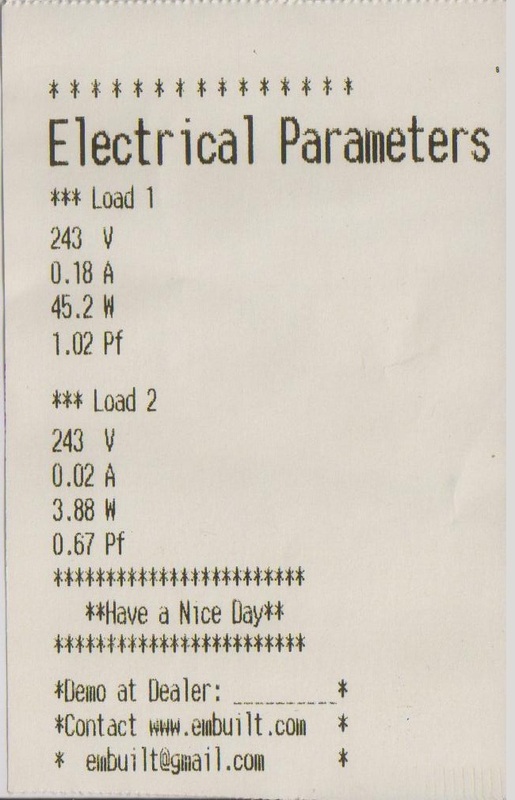 Savings: In this mode UBC-1 shows calculations and savings based on the wattage of both loads. In this mode, UBC 1 shows basic electrical parameters for load 1. The user can take print of these power parameters. 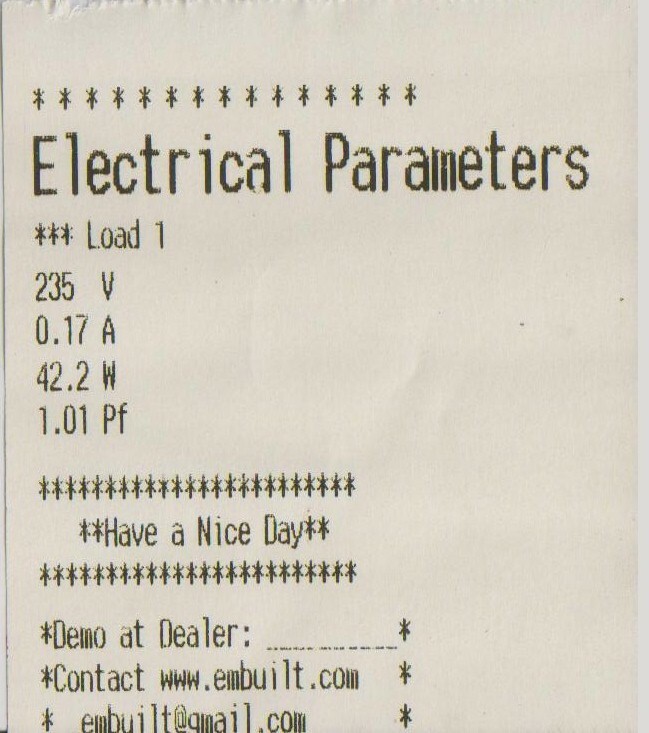 In this mode, the electrical parameters of both loads will be shown on display. A print slip will contain values for both loads. 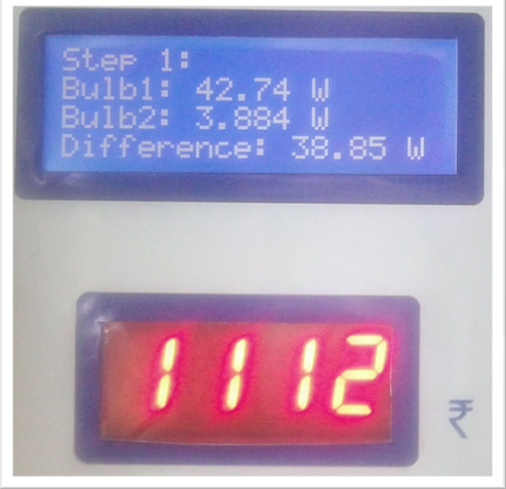 In savings mode, UBC-1 shows all calculation for savings based on the wattage of both loads. When UBC Starts in saving mode above screen shows. It shows the measured value of wattage for both loads. Then the user can show the calculation to any customer. In step -1 Difference of wattage for both bulbs are shown. LED Display focus on savings in Rs. In step -2 UBC-1 shows the calculation of unit saved using bulb 2 over bulb 1 over set limits. It is calculated as the multiplication of Watt difference, Running hours per day and the total number of days. Running hours and a Total number of days can be set by the user. 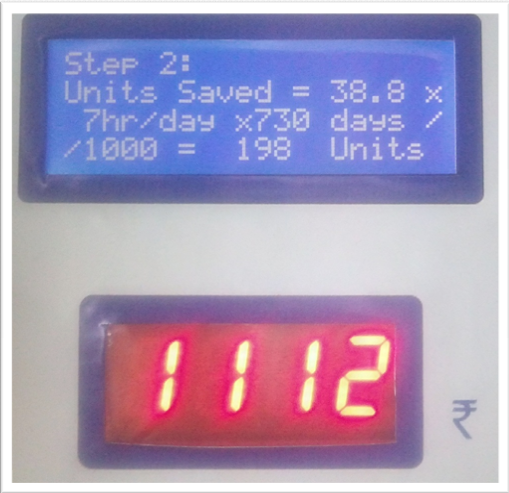 In step-3 It calculates and shows Money savings in Rs for set unit price and unit saved. The unit rate can be set by the user. The user can take print of all calculations using the thermal printer.